We provide expert carpet cleaning featuring the Hydramaster RX-20. If you haven't had your carpets cleaned with this machine, you will be thrilled with the results this cutting edge technology produces. Nothing outcleans an RX-20, and in the hands of our certified professional, nobody can get your carpets cleaner. More about our cleaning method here. Your fine fabrics are too easily damaged to be entrusted to anyone other than an experienced fabric care technician. We have years of practice caring for every type of material, from silk to microfiber. Let us show you how great your furniture can look- vibrant , fresh, and beautiful. If your carpets are rippled and/or loosely installed, they will wear much more quickly than carpeting that is laid properly. We can correct just about any problem you may encounter with your carpet. No need to worry about subcontractors-the same certified professional who cleans your textiles performs your repairs as well. Less worry and hassle for you! Accu Care can clean almost any rug , regardless of the material or dye type. We have the expertise to beautify your fine rugs without damage. 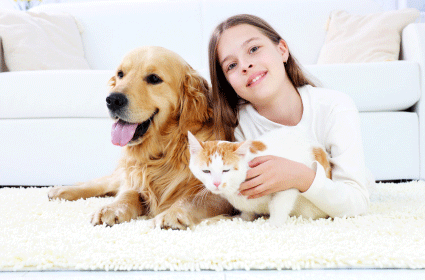 We use a low-moisture hot water extraction to perform a deep clean without soaking your rugs. Our cleaning solutions are safe and gentle, yet effective. Call for information regarding on-site drapery cleaning , commercial carpet care , and water or fire damage restoration. 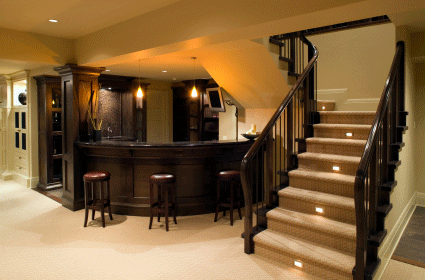 We would love to be the answer for all of your carpet and upholstery care needs! Is Fido taking a toll on your carpet ? Call the pet problem professionals! We've had years of experience cleaning up Fido's little messes! Stairs taking a beating? We can bring them back to life! We clean fine area rugs safely, thoroughly and beautifully!